Welcome back, friends! 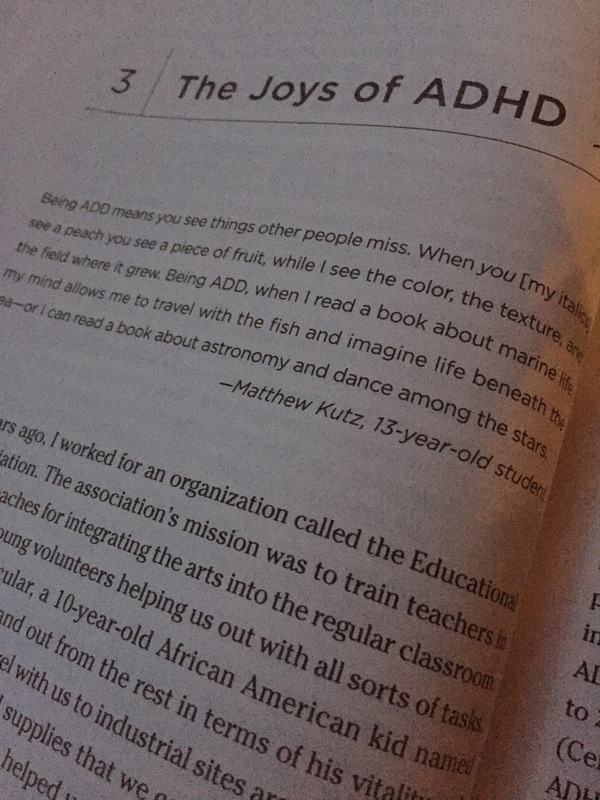 Today’s chapter in Neurodiversity in the Classroom by Thomas Armstrong is titled “The Joys of ADHD”. Fellow teachers, I know the face you’re making because I made it too; what joys of ADHD?! I kid, I kid, but seriously, sometimes as teachers we really do just want to throw medication at the students running wildly amok while their classmates are sitting readily and patiently listening to our lessons. The chapter starts with the story of a young student who assisted in preparing art lessons and ideas to a group of teachers in a non-classroom setting. He excelled and was a huge asset to those teachers and administrators he was assisting. However, in a traditional classroom setting, he ran wild and disrupted constantly, much to the teacher’s annoyance. The book says simply “in one setting he was a liability while in the other he was an asset”. Indeed, teachers tend to be loving and kind people who see the best in all people, but we still have a difficult time adjusting our vision of what a classroom should look and sound like in order to best serve all kids. We want our classrooms to be like the classrooms we remember, but we need to remember that the way in which we learned was not necessarily “right” and is not the way that everyone best learns. My class usually is made up of about a quarter of students with ADHD, and about half of them are medicated. Why struggle constantly to reprimand these unmediated students for moving and speaking, when they can’t help doing so and we are not further enhancing their learning? 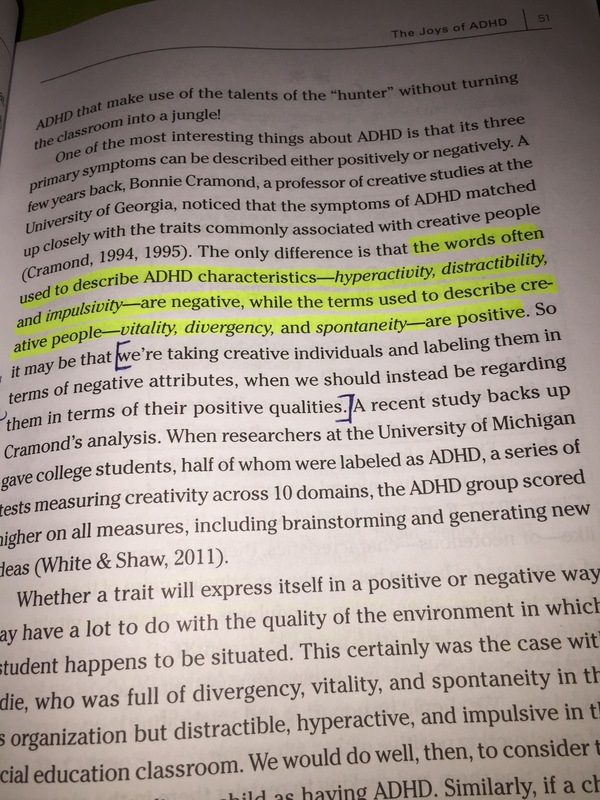 The chapter discusses many ways in which to enhance the learning of these students, notably finding assignments that they can relate to and allowing for a plethora of kinesthetic learning, which will not only serve to help students with ADHD succeed, but typical students as well. If you are interested in the book, here is the link to it on Amazin for more information. I look forward to discussing chapter four with everyone!